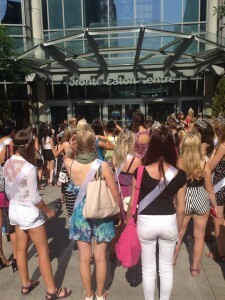 ← Day Three: Miss Teenage Canada! Day 4: Miss Teenage Canada 2014! We were up a little less early and were off and running by 6am today where we headed to the Shaw Cable Studio to first off film our Global Toronto segment. 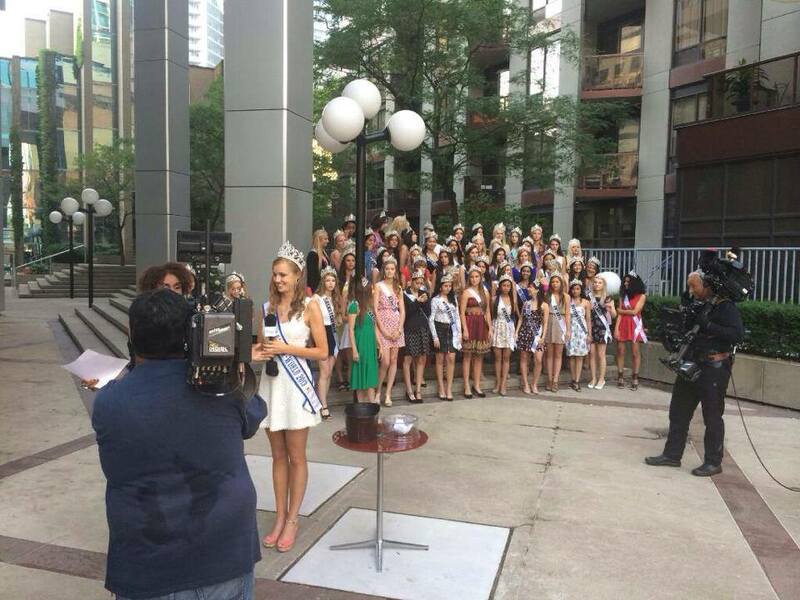 During the segment I was able to talk about my year as a title holder and the upcoming pageant. The host, Rosie and I then pulled names of the delegates from a bowl, the contestant chosen would then come up and pull a question that they would then have to answer on air, LIVE! Talk about pressure! All the girls answered very well, I was really impressed! We had a short break before we film our next segment for Global NATIONAL! We had the same premise, just a shorter segment. I had a great time and it was a very cool experience! We then headed to the CN Tower to check out the amazing view of Toronto! I found myself a lot less scared of the glass floor this time, I was pretty proud of myself! It was a lot of fun before because myself and the other girls had a lot of people asking for pictures from tourists and other people visiting the tower! That evening we headed to the Eaton Shopping Centre for some shopping! 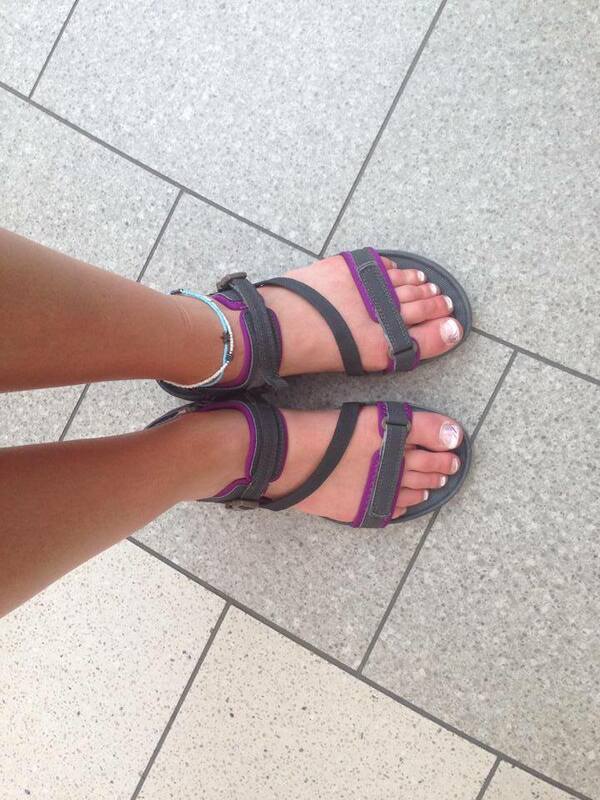 We were all very excited to be wearing our new Hi-Tec Sandals so we could get some serious power shopping in. The Eaton Centre generously provided myself and all the girls with a $10 gift card so we could get some supper at the Urban Eatery! Overall it was a lot of fun!